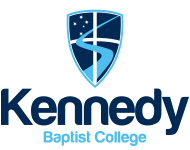 To apply for an advertised employment position at Kennedy Baptist College please fill out the below form. Please ensure you have ready your CV, Cover Letter, references, a written reference from your church pastor/minister and digital copies of all academic records. You will be asked to upload these documents as part of your submission of this form. Please Note: Should you be invited to an interview, given the position applied for involves working with and actively presenting the Christian Gospel to children, you will be asked your personal views on Faith issues. Given the Christian nature of the College and the expectations of all who enrol, agreement with the College's Statement of Faith is a pre-requisite. Before continuing please read this here. What would you consider to be your qualities for being in the ministry of a Christian teacher? No more than 500 words. Non-teaching applicants do not need to address this question. What contribution would you be able to make to the College? What professional learning have you engaged with recently? How have you applied it to your teaching/career? What has been the most significant achievement in your career in the past 3 years? I have read the Statement of Principles and Beliefs of Christian Faith for Kennedy Baptist College. I fully support the intent and spirit of the document and I give evidence of my personal relationship with Jesus Christ. I have read, understood and agree to adhere to the Staff Code of Conduct. I have read and agree to the Employment Collection Notice. I confirm that the information I have entered into this form is entirely accurate.